Located just a stone's throw away from Buckingham Palace, this intimate luxury hotel has spacious apartments and elegant suites, many of which boast beautiful views of Green Park. It also has a quality British restaurant, award-winning afternoon tea, a generously stocked whisky bar and a relaxing spa. An intimate hotel located opposite Buckingham Palace. Situated opposite Green Park, nearby Buckingham Palace, and just down the road from national museums and galleries, the family-run Athenaeum is an intimate five-star hotel in Mayfair. The luxurious accommodation includes park view rooms, 18 spacious apartments and elegant suites, a beautiful secluded rooftop suite, plus a double AA Rosetted restaurant and a spa. The building, first used over 150 years ago for entertaining MPs, Lords and the great and good of London, was made into a hotel by The Rank Organisation in 1971 and so was home to stars like Lauren Bacall, Burt Bacharach and Warren Beatty when they were filming at Pinewood and Ealing Studios. Award-winning afternoon tea served in the hotel's Garden Lounge. Having received the Tea Guild's prestigious award for 'Top London Afternoon Tea 2012', the Athenaeum promises a delectable dining experience. Known for their quintessentially English food, the hotel offers diners an indulgent yet frivolous experience. Visitors can choose between the Evergreen Tea and the Regent's Park Honey Tea, both served in the intimate Garden Lounge. 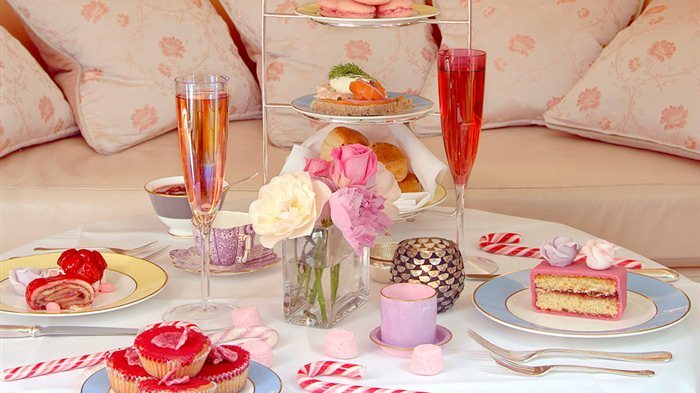 The Evergreen tea offers a sumptuous menu of rose petal champagne, a range of rare teas, traditional English finger sandwiches, scones, crumpets, homemade pastries and, of course, a generous serving of clotted cream. While the Regent's Park Honey Tea, ideal for those with a sweet tooth, has been created using honey gathered from the bees of London's Royal Parks and provides a number of honey based treats. Starting with a glass of honey fizz, diners will then be served a selection of sandwiches, scones and crumpets. However, the highlight is the finale: a constellation of honey based desserts that include a moist honey cake, rich honey cheesecake and light but creamy lavender macaroons. A seasonal menu of classic British dishes. The Athenaeum's in-house restaurant prides itself in high quality food that's suitable for every occasion, including intimate meals, business dinners and celebratory cocktails. Serving breakfast, lunch and dinner, it focuses on traditional English dishes with daily Best of British specials. The menu changes according to the season and guests can expect hearty options such as roast stuffed saddle of rabbit, pan seared halibut, and beef and English ale pie. They also promise that if you don't see what you want on the menu, just ask and they'll cook it for you. How's that for service? Choose from more than 300 whiskies at this intimate hotel bar. With a choice of more than 300 whiskies sourced from across the world, The Whisky Bar in the Athenaeum boasts more options than any other hotel bar in London. From the £7.50 Teachers blend to the £169 50-year-old Mortlach, there's something for all tastes and budgets. Further to the whisky, there's a selection of champagne, cocktails, gin and slim to choose from, all of which can be enjoyed in one of the bar's intimate corners. Plus, a menu of tempting nibbles and whisky and cheese pairings are available. Choose from a number of REN and Elemis treatments at this indulgent spa. The Athenaeum Spa promises to revive and rejuvenate its guests with the help of bespoke REN treatments and Elemis pampering. Treatment options include a Moroccan rose ritual facial, cellutox aroma spa ocean wrap, a total glow self-tanning treatment, and manicures and pedicures. There's also the option of simply unwind in the wet area, which has a steam room and hot tubs, or relaxation room. Further to the spa, guests can also take advantage of a 24-hour gym. From cheap budget places to stay to luxury 5 star hotels see our discounts for hotels, including Holiday Inn Express London- Vauxhall Nine Elms from 57% off.